The IRS will never call to demand immediate payment or call about taxes owed without first having mailed you a bill. The IRS will not require you to use a specific payment method for your taxes, such as a prepaid debit card or top-up card. The Internal Revenue Serivce does not ask for credit or debit card numbers over the phone. The IRS does not threaten to bring in local police or other law-enforcement groups to have you arrested for not paying. 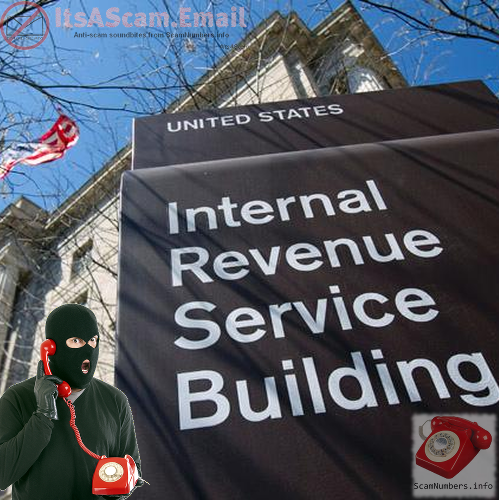 If in doubt, hang up and call the real IRS using a number from their website https://www.irs.gov/. If you have received a IRS scam call, please help others by reporting the phone number used at ScamNumbers.info.